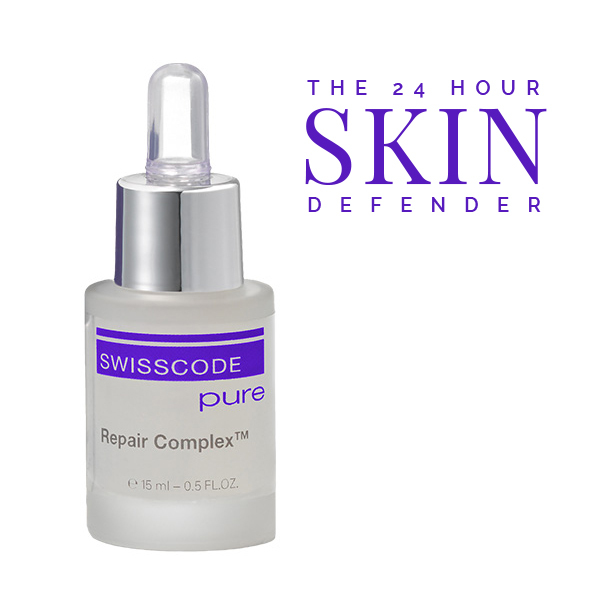 SWISSCODE Pure Repair supports the skin’s own internal protection and repair mechanism. As a result of this support, damaged cells are renewed and the skin can function with greater efficiency – maintaining a youthful, radiant and healthy appearance. Obtained from the Bifidus extract, this biotech-manufactured active ingredient reverses cell damage and prevents premature ageing.